This is a wonderfully poignant book about a teenage girl named Cassie who in addition to dealing with the normal challenges of growing up in suburbia, has alopecia, a disease that causes her hair to fall out prematurely. When this happens to Cassie she is just starting high school, getting a boyfriend, and starting track. 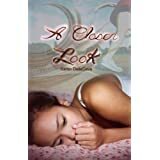 In a society and an age group focused on looking good, Cassie must deal with the stigma of being not just different but “ugly.” Cassie is a heroine you completely root for from the first page. Ms. DelleCava’s voice for Cassie is impressive, pitch perfect in it’s ability to show us what goes on inside this teenager’s head. The struggle she goes through, and her parents, to accept the loss and change of identity is wrenching. The use of the track team and Cassies’ ability to lose herself in her running is especially effective. The secondary characters, from the boyfriend, Tommy, to the best girlfriend, Tara, to Cassie’s mother and father, are all well developed and stay away from stereotypes, providing support to Cassie in different and sometimes unexpected ways. This debut novel shows a sure hand at handling this difficult material, keeping it real, at times funny, and finally when all the tears are dry, hopeful. I’d recommend this to readers 12 and up. Karen’s book can be purchased at indie-bound or amazon. You can also check out Karen’s website/blog at karendellecava.com. This entry was posted on December 14, 2011 by Joe Lunievicz. It was filed under Blog, Book Reviews, Karen DelleCava . Thank you, Joe, for the incredible review! As you know I’m a tremendous fan of Open Wounds–just stunning–and look forward to your next book. I also look forward to working together on our “got teen fiction?” group blog with fellow WestSiders Selene Castrovilla & Shari Maurer. Fun!